Realize the inherent nature of managerial work and become a more flexible, effective, manager and leader. Identify leadership strengths and how to better balance their style. 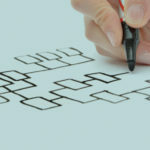 Provide practical management solutions tailored to the unique context of the organization. Be aware of which managerial competencies are needed to do their work and focus on the ones that need strengthening. Foster a more thoughtful, reflective, approach to managerial challenges. Achieve management goals more efficiently due to an enhanced group dynamic. Improve their ability to enable change. Become adaptive and integrative thinkers who creatively resolve alternatives by building superior management solutions.